The Gloucestershire Warwickshire Railway traditionally holds a diesel running day over the Christmas holiday period. 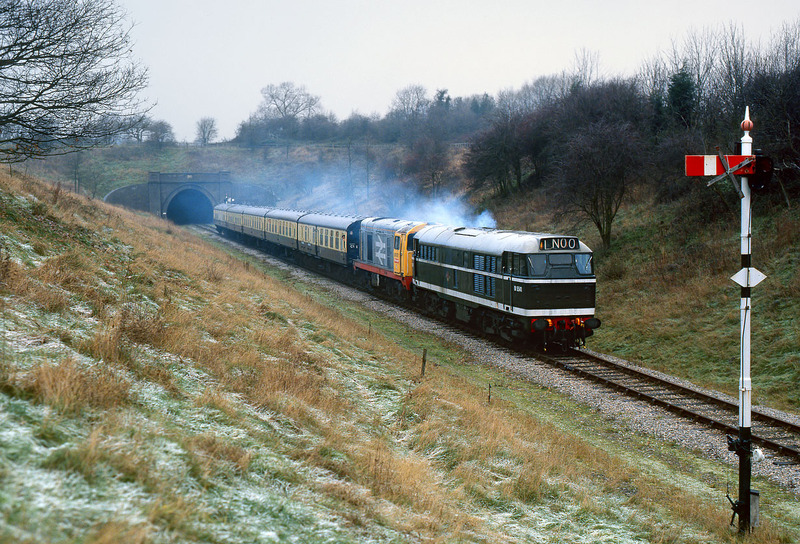 On a bitterly cold 27 December 1995, D5541 (since scrapped) & 20137 emerge from Greet Tunnel, en-route from Far Stanley to Toddington. With temperatures well below freezing, and little prospect of any sun, I was one of the very few lineside photographers!